I’m here to tell you don’t have to be a rockstar in the Salesforce community to land your dream Salesforce.com Admin job. 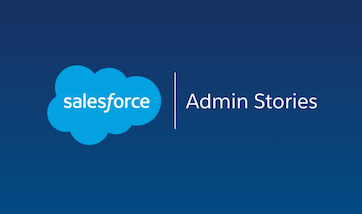 Whether you are new to Salesforce or an experienced Admin looking to get a better position I have 5 tips you need to check off your list before you start shopping around. And to be honest, even if you aren’t looking for a new Admin job these are good tips to get you started in your Salesforce career. Now, I can’t guarantee that doing all of these items will land you a job- only your determination and attention to detail can do that. So if you’re ready, let’s get started! I know this sounds like a no-brainer, but if you have been off the market for a while or you aren’t actively engaged on Linkedin your profile may be out of date. So our first step is to get our profile updated. The first thing you need to start with is a good headshot. Sure it seems easy to grab a pic out of a photo album and crop it I would suggest going out for a professional headshot. Chances are there are photographers in your area who specialize in headshots and they are relatively inexpensive. Having a current headshot shows attention to detail. In addition to your headshot, be sure to update any projects you worked on, as well as employment dates, and titles. A bonus would be getting recommendations from co-workers or former co-workers about your quality of work. Now, I’d love to give you some resume writing tips but the fact is there are a million websites that can do that. My advice on resumes is simple- write a killer “Personal Summary” at the top. Before applying for any job you need to start off by doing your homework about the company you want to work for. Of course starting with the company’s website is a good place to get a lot of information. Because company culture will play a huge factor in whether you love or hate your new job try to find what the company is about. It’s also really smart to read up on the origins of the company, it’s leaders, as well as the industry they occupy. In addition to learning about the company you may be interviewing with it’s really smart to hone your interviewing skills- chances are they might be a bit rusty. So be prepared to talk about your experience at your company and how you handle challenges. Practice answering questions in a mirror to see what your facial expressions are and try calling a friend over to practice interviewing. Remember you want your questions to be answered as normally as possible. Everyone gets a little nervous in an interview, but the point is to be yourself. Now, don’t forget to get your questions ready for the employer as well. 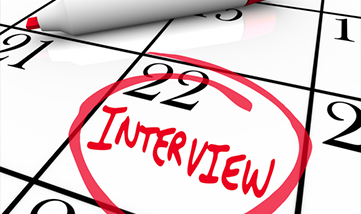 Interviews are a two-way street, showing up with questions shows initiative and interest- you are interviewing the employer as much as they are interviewing you. If you are Salesforce Certified- and I hope you are- make sure they are up to date. Now if you have printed certificates be ready to bring those with you to the interview. 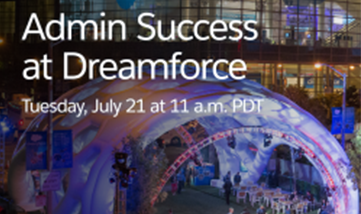 While it may not be necessary to show up with printed certificates you should be prepared to talk about your background in using Salesforce, where and when you got trained, and when you received your certifications. What if I don’t have a certification? Don’t fret- visit Certification.Salesforce.com to find classes and get information about certifications. A lot of what Admins do is intangible so be ready to demonstrate your skills. Let me explain, if you have worked for a company you have built a lot of useful apps or have a really good understanding of some apps. So as part of our homework let’s get a Dev org ready for our interview. Look up the company logo and create an application or two with the logo and some features that display our skills. It doesn’t have to be full of code- especially if you don’t know it- but it should be reflective of your skill level. Your research will tell you what kind of app you should build, but in general look for something that you would be willing do demonstrate and give login access to in an interview. And in case anyone who reads this post is looking to hire an admin- it’s a great way to ‘interview’ a prospective Admin by creating an exercise that will demonstrate their skills. It’s pretty obvious the cloud computing/ Salesforce space is exploding and finding quality Admins is at the top of the list for many companies. So the key here isn’t to fit in, but to stand out. Making your resume, interview, and overall interaction with the prospective employer needs to be memorable- not forgettable. What else can you do? I don’t know, maybe make your resume as a Salesforce Dashboard! Read how in this post- Build your own infographics resume using Salesforce reports and dashboard– a pretty cool idea in my opinion. And just a quick reminder that body language matters in an interview. Check out this article for body language tips. Those are my tips, what are yours? Share in the comments below.